Well I had my surgery today. Mom dropped me off to Paws and Claws Animal Hospital super early in the morning – way before I like waking up! Dr. Steve and his staff are lots of fun. They let me go back to sleep and the next thing I knew it was time to go home! I guess they did the surgery while I was asleep because the bladder stone is gone but my belly really hurts now. 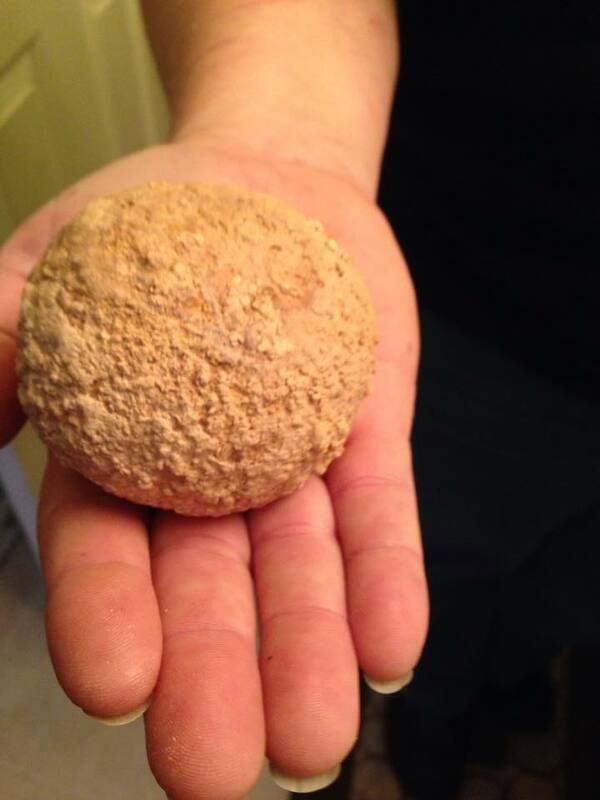 This is the stone the doctor removed from my bladder. It weighs 8.3 oz! That’s something like 10 percent of my body weight. Of course, I’ve lost a bit of weight since this thing got big because I haven’t been able to eat much. I’m really hoping now that it’s out I’ll get my appetite back and be able to eat a bunch of mom’s iguana salad. My incision site is really big. 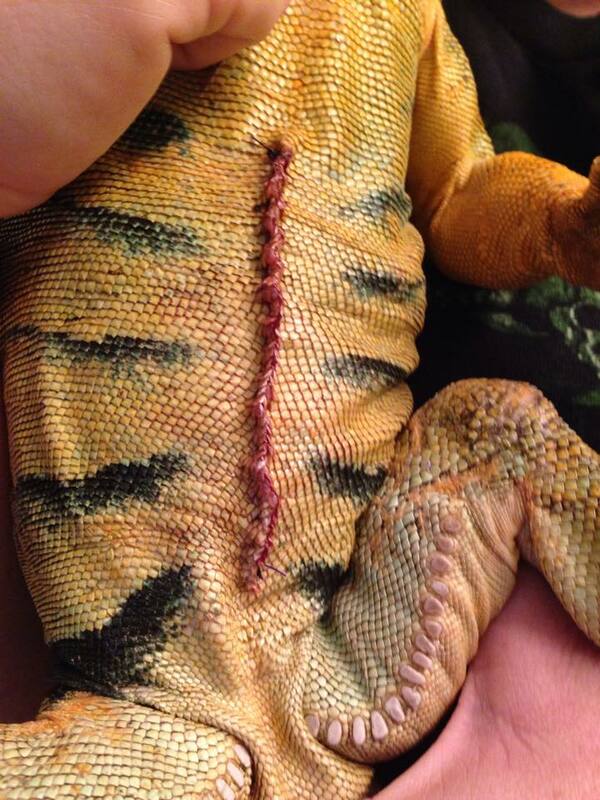 It looks puckered because its the only way to properly heal reptile skin. At least its underneath where not too many people will see it. For the next 3 weeks I have to stay locked up in a cage. No climbing, no running around, or chasing the other iguanas. I can’t even take a bath until my stitches come out in 5 weeks! But mom promises I’ll feel a lot better once this heals – I already feel a lot lighter! Shamus – it’s good to hear you’re doing well!